Sydney's annual celebration of queer cinema returns with high-profile biopics, werewolf thrillers and a lesbian love story that was initially banned in Kenya. 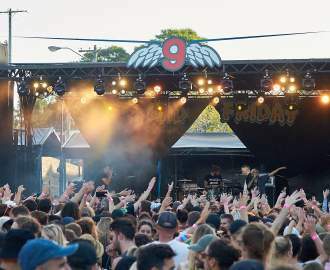 It's Mardi Gras time again, Sydney — and the annual celebration comes not just one festival, but two. When you're not partying, heading to performances and hitting up the parade, you can spend time in a darkened cinema watching the latest and greatest queer movies. Returning for its huge 26th year, and running between Wednesday, February 13 and Thursday, February 28, the Mardi Gras Film Festival is going big in 2019. A lineup that boasts 54 features, 66 shorts, 70 sessions and 75 Australian premieres isn't small by any means. It's also making a sizeable footprint, using Event George Street Cinemas as a base but spreading its screenings around the city too. After opening with the Kyle MacLachlan and Maria Bello-starring Giant Little Ones, MGFF's program includes a little bit of everything. There's the werewolf thrills of Good Manners, plus an award-winning drama about toxic masculinity and sexuality in the form of Slovenian film Consequences — as well as a Paris Is Burning and Rize-style dance doco courtesy of When the Beat Drops, and a restored version of the 1987 Merchant Ivory classic Maurice. Famous figures are in the spotlight thanks to biopics Mapplethorpe, The Happy Prince and Wild Nights with Emily, focusing on photographer Robert Mapplethorpe, playwright Oscar Wilde and poet Emily Dickinson respectively. 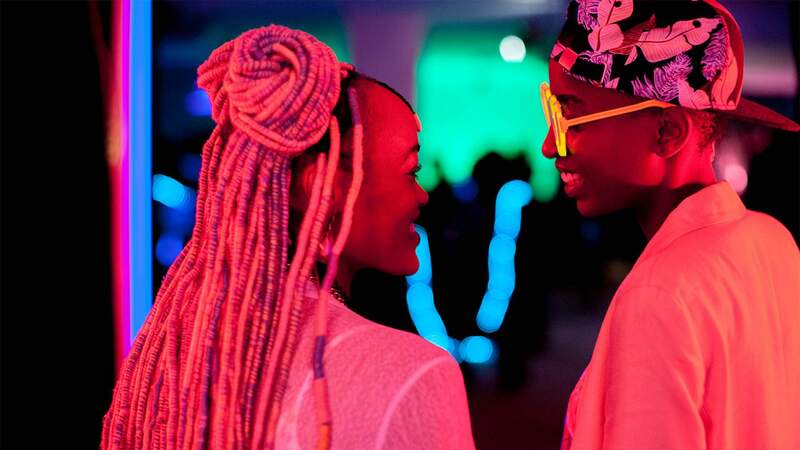 And when the fest comes to a close, it'll do so with the tender, luminous and important Rafiki, a lesbian love story that was initially banned in its native Kenya.